Plastic Cap Slitting Machine that introduced by us is ideally suitable to be utilized for slitting plastic cap of any size and shape. This type of machine has strong construction, excellent functioning, longer service life, and requires less maintenance for longer working time, as it is manufactured with approved engineering technology using 1.5 HP power motor, graded mechanisms, duly powder coated metallic housing, digital control panel, electrical power cable and other contact components & parts. The weight of the machine is 300kg, which ensures vibration free constant performance to the machine. 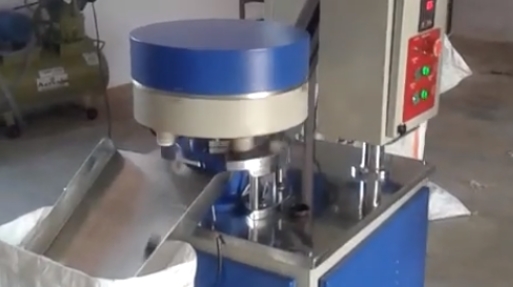 The Plastic Cap Slitting Machine has ability to slit caps around 10000 pieces per hours.